Payroll accounting is a method used to calculate aggregate expenditure on wages and salaries of employees incurred by a business in an accounting period. 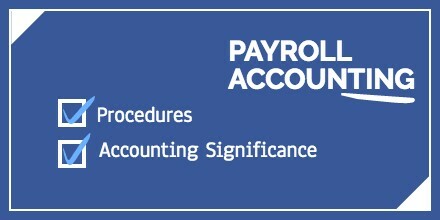 This method of accounting for payroll includes the company’s recording of its employees’ gross wages, salaries, bonuses, commissions and other benefits as well. Payroll accounting distinguishes between employee taxes which are deducted from employees pay and employer taxes which are paid by employers. This accounting also keeps records of employer’s fringe benefits such as health insurance, vacations, paid holidays, workers compensation insurance as well as pension and savings. Payroll not only is responsible for employee’s salary compensation but also plays a vital role in protecting the company’s reputation. There are many tasks involved in payroll accounting but the first task is to collect necessary data regarding the time worked by an employee on a daily, weekly and monthly basis. Companies must issue time cards to every individual to record exact working hours of that employee. This helps the accountant to measure the pay of the employee accurately. The task of time reporting also helps a business to curb payroll tax burdens and workers compensation premiums. As payroll accounting is done to calculate the compensation owned to each employee. By knowing the hours worked by an employee and multiplying it with the pay rate, it becomes much easier to calculate the pay of that particular employee. Also review your pay policies and procedure to look for inefficient workflow patter. Changes regarding salary structure and pay grade will be initiated in case of promotion of a worker. Employees must submit payroll tax as well as income tax to its employer so that they fill and submit it to the tax authorities. The accountants hired by a business calculates the exact amount of income tax owned by every employee after the gross compensation owned. Then the total tax collected will be given to the Internal Revenue Service so that there is no tax burden on the business. Many businesses provide their employees with certain benefits such as paid vacations, pensions and many more such things. These things make it more difficult for the company accountant to calculate the payroll amount as most of them get paid for holidays also. Any other contributions offered by the employer must also be done in payroll accounting. After every task has been completed, that is, working hours of every employee has been recorded with their income and payroll tax been given to the tax authorities. The net pay is given to every worker in the form of cheques, direct deposit into their accounts or through cash. Payroll accounting impacts the morale of the employee as they need to feel assured that they will get paid on a timely basis. When the pay is on time then the employee will be motivated to work more efficiently to get bonuses with their pay but if the pay is late then the employee will feel that the company is not financially stable. This will result in bad performance of employees in q business, so the organisation must keep in mind the importance of its employees. The business must see to it that the payroll activities followed by them are adhering to the tax policies and also complying with employment legislations. The business will uphold its reputation only when they are efficient in meeting tax obligations on time. This will attract more worker in the market to work in the business as the business will provide timely pays to them. Payroll accounting has to be performed regularly to ensure more precise payroll calculations. Payroll can be very time consuming, so it needs more resources to work with and regular activities help the business to know the required resources. 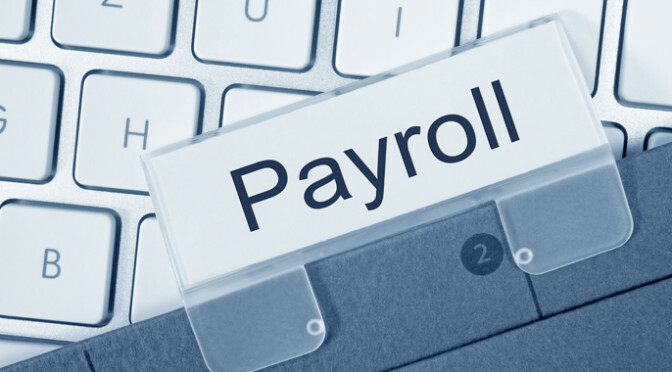 As payroll is now automated, it allows organisations to save on costs in the long run. Furthermore, it frees up valuable resources for the organisation to focus on other business activities. It is advised for any new business that they should take help from a financial consultant as there are many laws regarding payroll accounting. This will help them to stay out of trouble and also to devote their time on something else. An efficient payroll department reflects the organisation’s way of working and how they respect their workforce. Checkout our Payroll Management Services to know more about the Payroll Management. You can also connect to us through mail or form incase of further queries. Having an absolute salary structure makes it easier to manage your salary expenditure. Not to mention, it can help you retain your current employees, as well as make your recruiting, hiring and promoting efforts more focused and easier to execute. If you’re considering creating a salary structure, here are a few tips to help you get started. It should start from here, you need to know the value of each position you offer in your organization. Know the market, know your competition and see what others are paying for similar jobs. There are a variety available salary survey sources that can provide you with data related to salary information for various positions and different industries. You could easily know about benchmark jobs, but this mostly works out for jobs in which duties and responsibilities are generally defined. Once you have identified the benchmark jobs you can compare the market rate according to your budget, you could use statistical procedures to plan it up. Or you can simple get in touch with our HR department. The competitive position of company is its overall salary level compared to market average when compared with the benchmark jobs. This helps you answer if the salary rates for your employees currently above, below or comparable to the rates of your competitors. You should decide what competitive position suits best to your company. Some other things which could be solved by doing this could be if you need to pay at a higher-than- market level so to retain your current employees? Pay according to the market level which attracts better quality candidates or pay according to your budget. Compensable leverage refers to how much more or less salary rate increases in your company, overall, compared to the market rate increase for higher-paid positions in the organizational hierarchy. See this for an example, when employees are promoted to a higher position within the organization, will they receive an increase in salary rate that is similar to, greater than or less than the rate increase provided, on average, in the market. It’s important to determine the desired compensable leverage for your company. 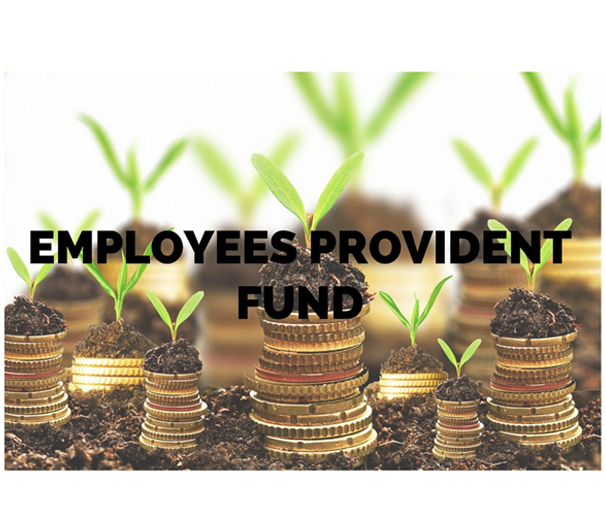 This will allow you strike a balance between providing attractive salary increases to employees for promotional opportunities and maintaining an affordable salary practice. Now that you have the data from the market and your internal and external resources together using this information, you can develop the salary structure for your company. You should also decide if you want to offer a specific salary range – with a minimum and maximum rate – for each position, or if you want to create pay grades in which multiple positions with similar market rates are grouped together within the same range. Once you have established a salary structure, possibly with pay grades, then you’ll want to look at your current employees’ salary rates compared to the range to see if anyone is being paid below the minimum rate or above the maximum rate. This involves determining whether the salary rates of any employees should be adjusted to achieve market alignment to have competitive position as created through the structure. If an employee is being paid below the range minimum, it’s recommended that you increase the salary rate, either immediately or incrementally over time, until it hits the minimum rate. If an employee is being paid above the range maximum then it’s recommended that you suspend the person’s next salary increase until market movement warrants an adjustment. Sometimes these practices are acceptable if the positions in question have a significantly greater or less of strategic importance to an organization than it has to competitors. You’ll want to do a systematic analysis of all of these things mentioned in above steps. This will help you have a good basis for creating your salary structure. If you would like to get your organization’s salary structure in place feel free to drop us an email at info@gapeseedconsulting.com or you can also call us +91-9599444630 else drop us a line here. What Are The Things Great Managers Do Differently? A critical part of any organization is managing the human resource functions and payrolls of employees, whether it’s a small firm or a big business house. And to manage proper functioning of HR and Payroll procedures, companies require appropriate technology whether hardware or software. It’s often a misconception that small business can do away with such a system but since the net worth of a company and its taxation is affected by the payroll of the employees, data integrity and accuracy is vital as they are subjected to audits from the law of the land. Hence the size of the company doesn’t matter. What if a small business can’t afford to shell out money on the latest software? What if making a purchase is going to have a major impact on the balance sheet? Despite budget restrictions and limited IT resources, small businesses still need to centralize workflows and be efficient. To help you out with such a dilemma, we will not only discuss about the benefits of having standard HR/Payroll software but we’ll also help you pick the best for small business in this post. With the help of automated software, calculating the payroll of employees gets not only easy but logical programming gives results within few clicks. The task could otherwise get lot complicated if done manually as it involves lot of procedures – calculating the productive hours of the employees, calculating tax, deductions, documentation of employee leaves, attendance etc. Manual inputs and payroll calculations for each and every employee is often a time consuming process. Whereas the software automated system does the backend calculations and produces periodic reports and pay checks in no time whatsoever. Manual inputs and management of data is not only time consuming but can also invite errors. Having HR and Payroll software assures that the data is 100% accurate and the data integrity is maintained at all levels. One can rely on the information to make better decisions based upon it. Another advantage or rather benefit for HR and Payroll software is that it has tools which restrict the accessibility to the software. Once can set up visibility parameters to allow selected persons to access the data which reduces the risk of misuse of critical information. Core HR: Helps businesses perform the administrative functions of managing a workforce—payroll, benefits administration, time and attendance tracking, workforce planning, and regulatory compliance. Employees can also access their work-related data and enter updates and requests which form an integral feature for most core systems. Strategic HR: This solution mostly addresses recruitment, performance management, training and development, and succession planning. Some solution may even be customized to address a specific aspect of talent management, such as the hiring process. Integrated HR suites: This solution provides end-to-end functionality across most or all areas of management including administrative aspects as well as recruitment, talent management, and e-learning of management systems. Some product suites are sold in modules, so one can purchase them according to the specific need of the company. The intention of the post was to give you a brief idea of how important it is to have specific standard software for the better functioning of a small business and also the benefits for HR and Payroll software. If you want us to find the right solutions for your set of business, write to us and we would address your query in no time. You can even write to us if you want to avail our HR, Accounting or any other service. 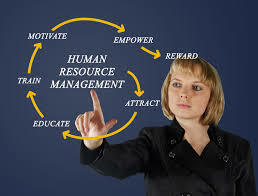 Many business enterprises/companies find the employee search and placement process to be time-intensive and challenging. The level of challenges increases many times more when foreign companies try to set up offices in India.They often experience disappointment when they are unable to find the right people for their company or have employees that don’t end up working out. At this critical point, contract staffing solution barges in. 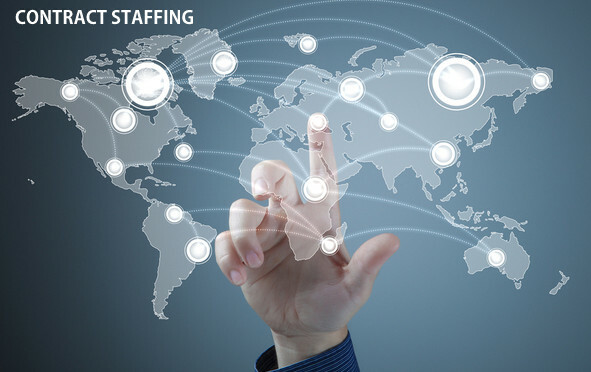 Contract staffing represents a choice for your organization to do smart hiring that provides instant value to the overall output. Through this the employers can not only save time and money but they can easily eliminate the dilemma in finding the right candidate for the job. With the rising demand of growing businesses, companies are increasingly concentrating on contract staffing to ensure that they get the best of talents that allow them to expand their business and meet future goals. 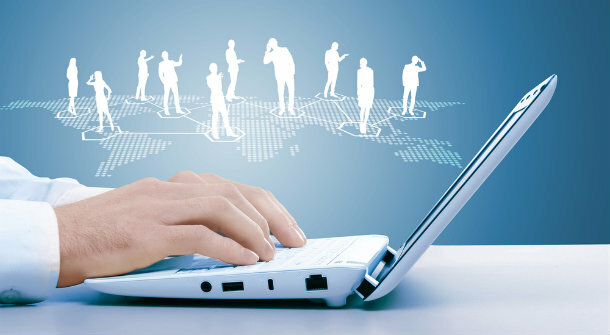 How our RPO Services can help in Contract Staffing? Gapeseed specializes in recruiting professionals for a variety of fields including Information Technology, Engineering, and Executive Search etc. Gapeseed’s years of experience provide the employers/clients a true partner who can manage a company’s permanent or temporary staffing needs. Gapeseed Facility & Management Services also customizes solutions to meet client’s varied requirements. With the company’s contract staffing solutions, clients can delegate the ever-important task of hiring quality and skilled talent for immediate needs and can be rest assured that all their needs will be met by the best of talents. For those of our clients who are in the process of Setting up a Business in India – RPO is a value adds, since we understand their business intent and are already helping them with Office Management and Business Support Services. We can fulfil crucial staff requirements within days of vacancy or while setting up offices. With Gapeseed, you can easily tackle resource crisis almost immediately after requirements arise. And you can recruit highly skilled workers for as long as you require i.e. for a particular time frame without worrying about Payroll, Contract Management, Legal checks etc. With years of experience in the recruitment field, Gapeseed oversees and provides the best talents in any given field. The best of talents can be used according to your particular requirements. If you need technical staff for shift jobs or you need them for extra hours, Gapeseed can provide the middle-way to your organization’s resource problems. If you take Gapeseed on board, we will take care of the add-ons related to hiring a full-time staff such as payroll taxes, insurance benefits, workers’ compensation etc. This helps in cost cutting. Moreover, since we will take care of all the legalities related to unemployment claims and payroll taxes, you can avoid all the liabilities that come with recruiting an in-house staff. We offer the flexibility and ready-to-order contract staff. This will augment your organization’s capacity while balancing the burn-out for in-house staff in case of special project requirements or peak period pressure. Besides contract staffing, Gapeseed provides various other solutions/services like setting up an office in India, event staffing, business support services, payroll management etc. To get details of each of these services, visit our website. And to avail them, simply e-mail us and our representative would get back to you with appropriate quote for the services offered. Every business owner is faced with the option of doing payroll in-house or outsourcing to a payroll service provider. While each has its advantages, outsourcing payroll seems to be a common choice for both large and small businesses. Reason being – it saves cost and increases efficiency. Once you outsource the service, the providers can manage the tedious task of running payroll whereas you and your employees can focus on business growth. In simple words the purpose of any payroll system is to standardize the process of paying employees and organize everything for tax purposes. 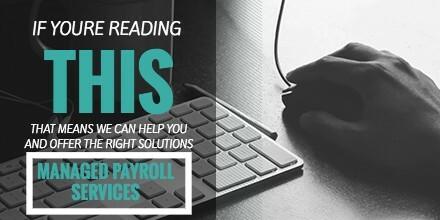 Now, to choose the best payroll service for your business can be a difficult task. Because the type of payroll service that works best for each company depends on the needs and circumstances of the business. Some payroll providers can accommodate large companies with hundreds of accounts, while others are focused more on small businesses and limit the number of accounts they work with. So you should consider parameters like the cost involved, the reputation or status of the provider and the services it will provide. However with so many options to choose from, finding the right one can be overwhelming. So to help you out in best way possible, Gapeseed comes as a rescuer. Our motto is very simple – We prioritize our client’s needs. Save Cost: The most important aspect of any business is cost saving. So, in addition to reducing the probability of costly penalties, hiring Gapeseed to manage your payroll module can save you money in lot many ways. The price that you will be investing for training purposes or for labour may add up more than the price of outsourcing. And there’s no guarantee involved. Whereas if you hire us, you and your team can concentrate more on the business growth while we take care of the rest. We will also be involved in taking full responsibility for any mishap and you can feel confident, mistakes (if any at all) will even be taken care of. Increase Productivity: Now, once you avail the service, you don’t have to involve any of your internal team members to process payroll, which means you not only save on cost, but also time. The team member can actually get involved into doing something productive rather than spending time on keeping track of employees’ wages and fees, processing paychecks and records etc. Faster Processing: We hire experts of the industry when it comes to payroll rules and requirements. We also have advanced technical resources as support, so we can complete complex payrolls quickly and accurately. Be it paying the wages or reviewing employee contribution and deduction, all are taken care systematically. This also includes adding new employees to the system and removing former employees as soon as they leave the company. Reduce Compliance Issues: Payroll tax regulations can be complicated and confusing. When trying to concentrate on running a business successfully, it may be difficult to stay up with all the tax rules and changes. Yet it is very important to keep a track as inaccurate payroll reporting can result in penalties from the government. Gapeseed can help you prevent compliance issues. Our systems are upgraded with up-to-date information on all tax rules and therefore reduce inaccuracy of any sort. In addition, we also handle filings, taxes and payments, and other such complexities. There are many details and factors to consider in each of these processes and the easiest way to tackle all of them is to hire a professional payroll service provider. And to do so it’s advisable to hire the best among the rest. Whether you are seeking the Payroll Services for a funded startup, an Indian Office of your foreign-aligned venture or any other payroll services in Delhi NCR, get in touch with us.